(L-R) Parm Rai, Ricky and Marianne Wu (Henry Wong), David Green (Laurent-Perrier) and Mike Hammond (QEHB). 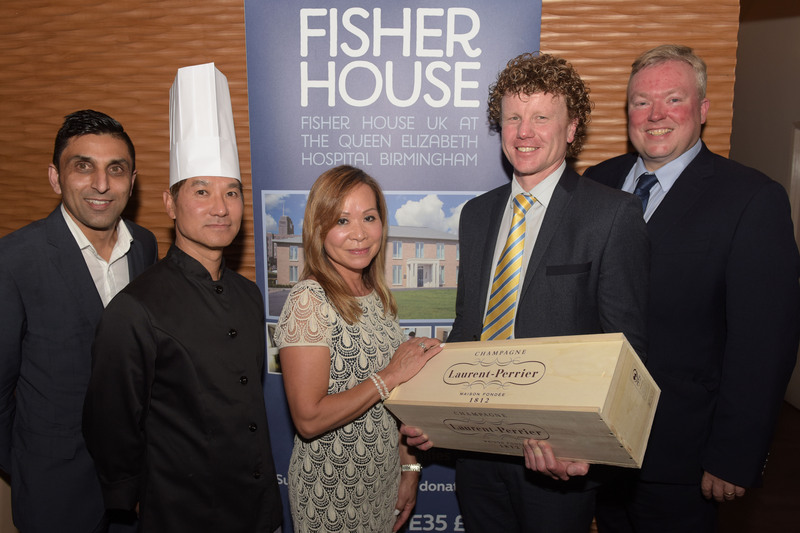 Harborne-based Cantonese restaurant, Henry Wong welcomed over 70 guests recently for a Laurent-Perrier Champagne taster event in support of QEHB Charity’s Fisher House. Diners were treated to a selection of the restaurant’s finest cuisine with each course being partnered with a carefully selected accompaniment from the luxury Champagne house. The event raised £8,500 for the restaurant’s chosen charity for 2016, which is a ‘home away from home’ for injured military personnel based at Birmingham’s Queen Elizabeth Hospital.